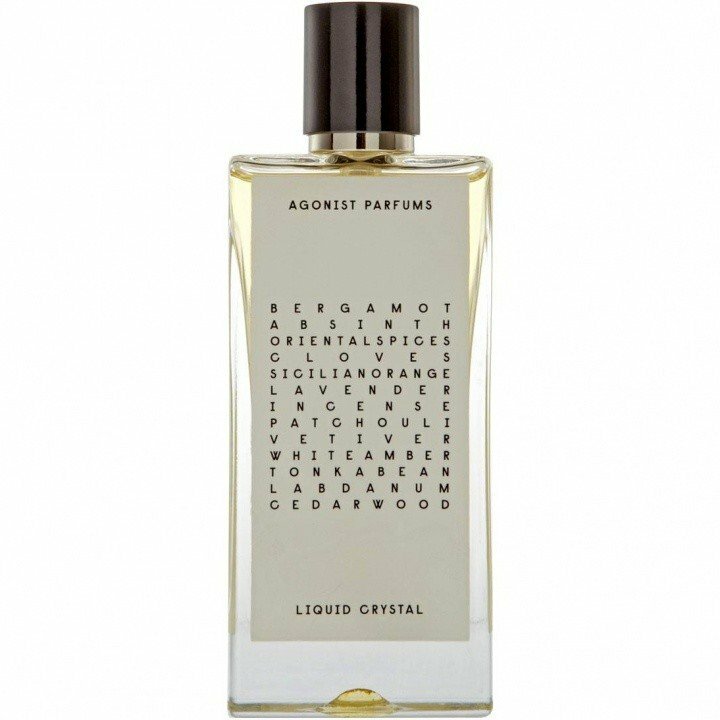 Liquid Crystal is a perfume by Agonist for women and men and was released in 2010. The scent is spicy-fresh. It is still in production. Strange, beautiful liquid is worthy of the artpiece bottles. This fragrance is as adventurous as the beautiful flacons that display it! Upon application the lavander and bergamot are very up front, a lovely, clean, natural lavendar, followed up by a fresh, bracing herbal wash that gives almost a sensation of coolness. i believe vetiver is present at this stage to provide dryness. The praline note is very quiet. It stays in the background and sings with the immortelle to provide a slight underlying sweetness, with a touch of floral and light spice, that keep the composition from becoming too dry and herbal, which to me would place it in the category of mediocrity, despite the art pieces it comes in. After about 20 minuites have passed, the only change is just a touch more sweetness, as the herbal players and dry vetiver are still going strong. Such a well crafted balance, this truly is a masterful fragrance! 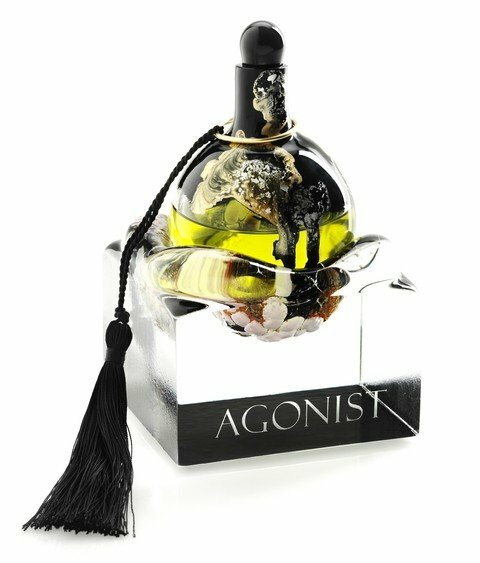 Being at first skeptical, i wanted to know if the fragrance is as special as the vessel, and indeed it is. It just gets better. There is a little of the vanillic soft and lightness of Creeds, Sublime Vanille here, i believe this is due to a good cocoa powder note, but i would expect no less for this price range. This is not for everyone, but a wonderful olfactory experience nonetheless. Sadly, i am smitten, and will use my sample to the last drop, and perhaps purchase a decant while i admire the beautiful flacon from afar! Write the first Review for Liquid Crystal!